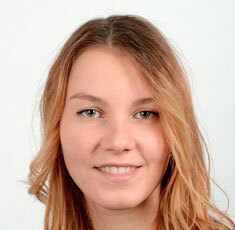 Selina is an example of an unusually skilled female technologists who recently graduated from the technical college in Germany with a degree in computer science and a specialty in human centered computing. During her last job, she had the chance to gain work experience in adopting the DevOps philosophy by using the serverless framework and AWS Lambda. As Selina has already started to share her knowledge within and outside of the companies she worked in, she will now be giving her first talk at a conference. Apart from work she is very interested in cultures and languages and thus likes travelling a lot. Selina is an outgoing person who likes to get in touch with others and engage with them. Talk: How Serverless can help ChatOps become reality! Many companies have problems adopting new tools and agile methods because their staff is often suspicious and doesn't understand why they should change something if it still works the way it is. Their motto is: "Never change a running system" and "We've always done it that way". Within this talk I will demonstrate how quickly and easily a ChatOps showcase can be realized with the help of AWS Lambda and the serverless framework. We’ll see which advantages this leads to and how it can improve your everyday workflow. And – of course – we’ll blow the concerns of your customers away.